Radical Seafaring Radical Seafaring is a multidisciplinary exhibition, publication, and program initiative. 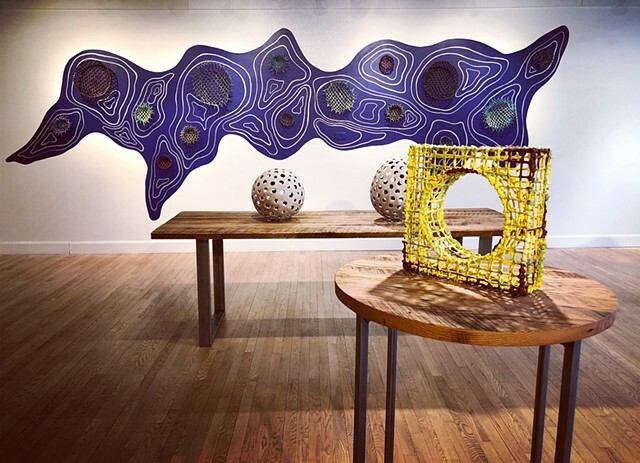 Under the direction of Andrea Grover, Century Arts Foundation Curator of Special Projects, the exhibition features twenty-five artists with works that range from artist-made vessels, to documentation of creative expeditions, to speculative designs for alternative communities on the water. ART IN EMBASSIES, IAIA Printmaking Studio, IAIA, Santa Fe, NM - Artists Reception: September 2015, Washington, D.C.